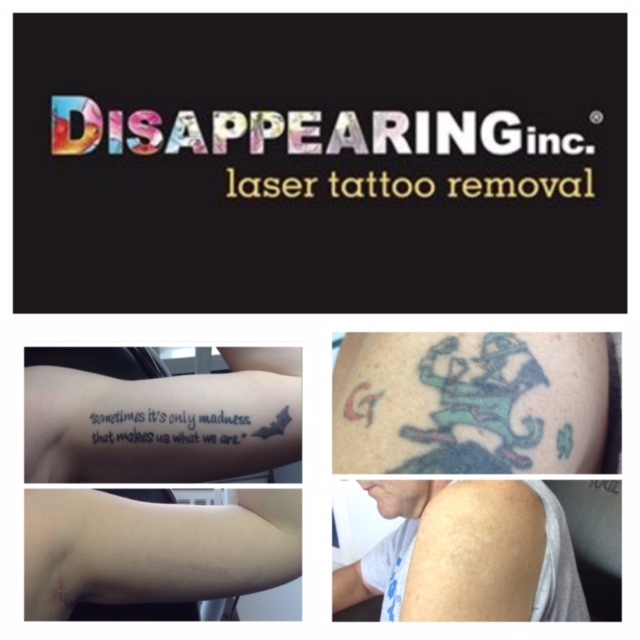 Startling New Statistics on Tattoo Removal from Disappearing inc.
Boston, Massachusetts (3/24/2017) – Disappearing inc., New England’s largest laser tattoo removal company has some startling new statistics on the laser tattoo removal industry based on two recently conducted research studies. Tattoo Regret on the Rise – In the past we have seen research that says upwards of 17% of those tattooed have some sort of tattoo regret. “We conducted our own independent research in Massachusetts among those who are tattooed and learned that nearly 60% (58.5%) of those tattooed don’t like one or more of their tattoos and 40% are thinking about tattoo removal or lightening. These are extraordinary new numbers, are quite telling about what people have on their bodies and are a positive outlook for our industry,” said Rob Harris, founder of Disappearing inc.
4) It was my Ex! About the Research – Disappearing inc. conducted two independent research studies. One survey was from its current clients and the other from 300 random tattooed people in Massachusetts.